Diablo 3! love this franchise! There was some really fun and epic shots for the cinematic movies. 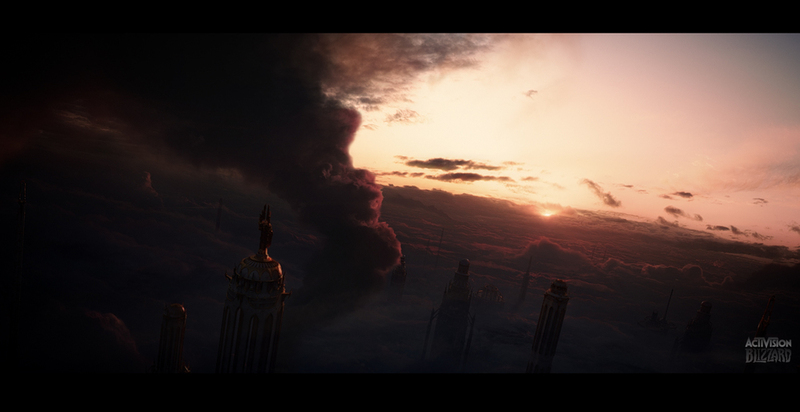 Without a doubt the sunrise shot was the most challenging for a mattepainting approach. 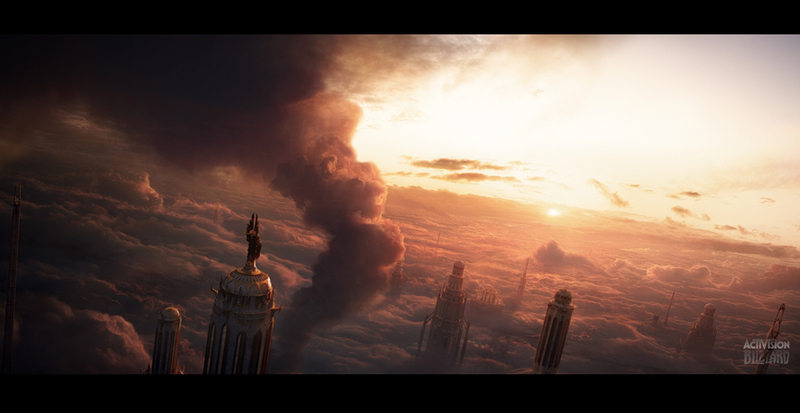 Moving areas, changing lights and volumetric clouds. The painting scope had to encompass quite a bit as there were cloud elements moving and smoke warped. Here are some of the following shots i did for D3.